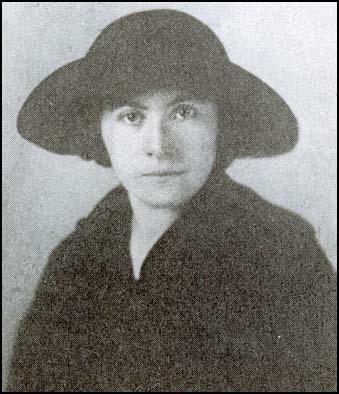 Rosa Broido, the daughter of a rabbi, was born in Gródek, Poland, in 1890. At the age of nineteen she became romantically involved with a revolutionary called Olgin. "I met Olgin in Vilno. His beautiful mistress had left him and I was to take her place. I did not love him but he introduced me to a new world, to the socialist elite of the town, whom I had always admired from afar. He brought into my life a sense of security and stability." Olgin was wanted by the police and eventually he was forced to flee to Vienna. Rosa moved to Heidelberg where she met the Russian émigré, Eugen Levine. Rosa later recalled: "For me it was love at first sight." Levine had been a member of the Social Revololutionaries and had taken part in the 1905 Revolution. He was arrested, imprisoned and exiled to Siberia where he worked in a lead mine. After escaping he became a full-time agent of the SR. He wrote to his sister: "I am now in Bryansk province Orlov, one of the most important economic centres. It has a strong organisation but I am the only intellectual. And since the factories are scattered between forests and swamps hundreds of miles apart, I am always on the move." Levine eventually left Russia and studied at Heidelberg University. He joined the Social Democrat Party and gave lectures on the possibility of revolutions in Russia. In May 1915 Rosa married Eugen Levine. Levine told her: "We have reached a degree of happiness which will never be surpassed". In a letter he wrote to Rosa: "Everything seems to attain sense and meaning. I wake up with you, I walk with you all day long, I lie down and my right arm waits for you with joy and tenderness... I thank you for making me young again, for teaching me to love so deeply, to glow and to love; and for loving me, for the gift of your tender, delicate-passionate love." Soon after the wedding Levine was called up into the German Army and appointed as an interpreter in a camp for high-ranking allied prisoners of war, situated on the outskirts of Heidelberg. Rosa later recalled: "It was an easy assignment. He was allowed to live out and report for duty like any other civilian. Yet he soon came to hate his work. His obligations included the censorship of the incoming and outgoing letters, which made him an involuntary participant in the intimate life of the camp inmates. He felt like an intruder and when he had to deliver particularly sad or emotional letters could not look the recipient in the eye. They were class-enemies, military men who in a given situation would shoot him - or he them for the matter. But he always knew where to draw the line between revolutionary necessity and his innate humanitarian feelings, and never refused anybody help or sympathy in his private life." Levine was eventually denounced as a security risk and was moved to other duties. Later he worked as an interpreter at war-prisoners' courts. As Rosa pointed out: "The offences varied from petty thefts and disobedience to more serious, sexual assaults. The predominantly illiterate convicts were often not even able to state their case, and much skill was needed to unravel the actual proceedings." In 1916 Levine was invalided out of the German Army. He returned to Heidelberg University where he lectured on Russia. After the Russian Revolution, Levine became the Russian Ambassador's adviser on German affairs in the Embassy in Berlin. Rosa was also employed as a Russian-German interpreter. Levine remained a member of the Social Revololutionaries until it staged a putsch to reverse the Brest-Litovsk Treaty. Levine now joined the Bolsheviks. 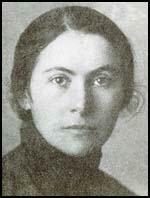 Rosa Levine, against the advice of her husband, went to work as a interpreter in German occupied Ukraine. She later recalled: "They paid well, but a greater attraction was the additional lavish daily expenses. I calculated that in six months I could earn enough to provide for myself and for my child for a long time and at last achieve my own ambitions. The job in an occupied country involved some risk, but the employees were heavily insured. I decided that the child would be better off with a sum of money than with a mother who was incapable of looking after him, and I applied for the job." She did not stay long in Russia: "I suddenly became a security risk. One of the employees had seen me at the Soviet Embassy in Berlin and had denounced me as a Bolshevik. I was immediately discharged and ordered to leave the country. I was back where I started. Levine met me at the station with a huge bunch of flowers." In 1918 Eugen Levine joined Rosta, the Soviet News Agency, as head of its Russian section. Rosa became his private secretary. She later recalled: "This was the start of my political awakening. My job consisted in correcting the Russian translations. I had to deal with matters which I had to deal with matters which had never interested me before and to absorb daily a great deal of knowledge of what was going on around me." Karl Liebknecht was released from prison in October, 1918, when Max von Baden granted an amnesty to all political prisoners. Rosa commented: "In those faraway days the Soviet Embassy was not afraid openly to associate itself with Communists. Liebknecht's release from prison was celebrated with a lavish reception and Levine and I were among the guests. The occasion was also memorable for food and drink and healthy, uncrippled men - another rarity in the last year of the war." In March 1919, Levine received instructions to go to Munich to take control of the attempt to create a Bavarian Soviet Republic. Rosa agreed to go with Levine. The leadership of the German Communist Party (KPD), was determined to avoid any repetition of the events in Berlin in January, when its leaders, Karl Liebknecht, Rosa Luxemburg and Leo Jogiches, were murdered by the authorities. Levine was instructed that "any occasion for military action by government troops must be strictly avoided". Levine immediately set about reorganising the party to separate it off clearly from the anarcho-communists led by Erich Mühsam and Gustav Landauer. He reported back to Berlin that he had about 3,000 members of the KPD under his control. Inspired by the events of the October Revolution, Levine ordered the expropriated of luxury flats and gave them to the homeless. Factories were to be run by joint councils of workers and owners and workers' control of industry and plans were made to abolish paper money. 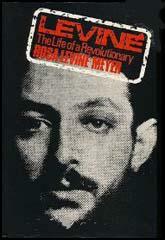 Levine, like the Bolsheviks had done in Russia, established Red Guard units to defend the revolution. He also argued that: "We must speed up the building of revolutionary workers' organisations... We must create workers' councils out of the factory committees and the vast army of the unemployed." Johannes Hoffmann and other leaders of the Social Democratic Party in Munich fled to the town of Bamberg. Hoffman blocked food supplies to the city and began looking for troops to attack the Bavarian Soviet Republic. By the end of the week he had gathered 8,000 armed men. On 20th April Hoffmann's forces clashed with troops led by Ernst Toller at Dachau in Upper Bavaria. After a brief battle, Hoffmann's army was forced to retreat. Sebastian Haffner wrote in his book, Failure of a Revolution: Germany, 1918-19 (1973), that Levine was the communists best hope for leading the revolution: "Eugen Levine, a young man of impulsive and wild energy who, unlike Karl Liebknecht and Rosa Luxemburg, probably possessed the qualities of a German Lenin or Trotsky." Johannes Hoffmann now arranged for a new propaganda campaign to take place in Bavaria. All over the region posters appeared saying: "The Russian terror rages in Munich unleashed by alien elements. This shame must not endure for another day, another hour... Men of the Bavarian mountains, plateaux and woods, rise like one man... Head for the recruiting depots. Signed Johannes Hoffman." Rosa argued: "The streets were filled with workers, armed and unarmed, who marched by in detachments or stood reading the proclamations. Lorries loaded with armed workers raced through the town, often greeted with jubilant cheers. The bourgeoisie had disappeared completely; the trams were not running. All cars had been confiscated and were being used exclusively for official purposes. Thus every car that whirled past became a symbol, reminding people of the great changes. Aeroplanes appeared over the town and thousands of leaflets fluttered through the air in which the Hoffmann government pictured the horrors of Bolshevik rule and praised the democratic government who would bring peace, order and bread." The Marxist historian, Eric Hobsbawm, has argued: "Levine, a lucid, sceptical, efficient professional of revolution among noble amateurs living out the dream of liberation and confused militants, knew that it was lost, but also that it had to fight. Though not lacking in at least passive support among the Munich workers, the Soviet Republic horrified the conservative and Catholic peasantry and the notably reactionary middle class of Bavaria to the point where they welcomed the joint invasion of government troops and Free Corps from all over Germany (including a Bavarian Free Corps)." With Ebert's troops massing on Bavaria's northern borders, the Red Guards began arresting people they considered to be hostile to the new regime. On 29th April, 1919, eight men were executed after being found guilty of being right-wing spies. Rosa Levine wrote: "It was never established who ordered the shooting. None of the Communist leaders were at that time in the building. Levine for one left it long in advance of the deplorable act." Ten members of the Thule Society, the anti-Semitic precursor of Nazism, were also murdered. Levine went into hiding. On 12th May he wrote to Rosa: "At last I can send you a few words, my love, my dear. You were all the time beside me and my heart rejoiced when I thought of the last period of our life. During all those desperate hours, hours of terror, I was full of those memories. I recalled our talks, your words, your kisses and caresses. Don't be sad Oslishechko. I am cheerful and full of energy. In spite of all the distress, I am looking to the future with confidence. As to us, I firmly hope that we shall be together very soon. And together with the child before my departure." Later that day Levine was arrested by the authorities. Levine's cell was left open in the hope that he would be beaten to death. According to his wife: "Soldiers were constantly patrolling the corridors, entering his cell and keeping him in a state of great suspense." A warder told his wife that "we were told that your husband ordered the execution of 10,000 prison warders and policeman." In court Eugen Levine defended his actions: "The Proletarian Revolution has no need of terror for its aims; it detests and abhors murder. It has no need of these means of struggle, for it fights not individuals but institutions. How then does the struggle arise? Why, having gained power, do we build a Red Army? Because history teaches us that every privileged class has hitherto defended itself by force when its privileges have been endangered. And because we know this; because we do not live in cloud-cuckoo-land; because we cannot believe that conditions in Bavaria are different - that the Bavarian bourgeoisie and the capitalists would allow themselves to be expropriated without a struggle - we were compelled to arm the workers to defend ourselves against the onslaught of the dispossessed capitalists." 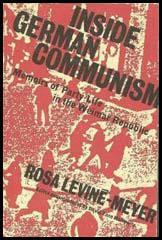 Levine accepted that the court would order his execution: "We Communists are all dead men on leave. Of this I am fully aware. I do not know if you will extend my leave or whether I shall have to join Karl Liebknecht and Rosa Luxemburg. In any case I await your verdict with composure and inner serenity. For I know that, whatever your verdict, events cannot be stopped... Pronounce your verdict if you deem it proper. I have only striven to foil your attempt to stain my political activity, the name of the Soviet Republic with which I feel myself so closely bound up, and the good name of the workers of Munich. They - and I together with them - we have all of us tried to the best of our knowledge and conscience to do our duty towards the International, the Communist World Revolution." The Münchener Post reported: "Levine faced the Court on the second day of the trial with an indifference to the fate hanging over him which alone could shatter the indictment of cowardice by the Public Prosecutor. The unstudied posture of the defendant undoubtedly impressed many of those who had not experienced the Levine of the second Soviet Republic. Levine relieved his Counsel of the task of defending him. In his final speech, which put into the shade all the rhetoric of his professional advocates, he resolutely swept aside all the little tricks which his Counsel brought forward in his favour. Lucid, calm and to the point the speech was more effective than all that had been said in his defence during the long preceding hours. Once again it became evident that he possessed courage wrongfully denied to him, that he skilfully remained master of the situation, that he succeeded with a superiority of his own, in crystallising all those points which ensured him his influence on the masses." In court Eugen Levine was defended by Count Pestalozza, a member of the Catholic Centre Party. He argued: "Don't send this man to his death, for should you do so, he would not die, he would start to live again. The life of this man would lie on the conscience of the entire community and his ideas would generate the seed of terrible revenge." Levine was sentenced to death on 3rd June, 1919. Soon afterwards he had his last meeting with Rosa. He told her: "It will soon be over. It is you who will suffer more. But don't forget: you must not live a joyless life. You must think of our boy. He must not be burdened with an unhappy mother." Eugen Levine was shot by firing squad in Stadelheim Prison on 5th July, 1919. In 1920 Rosa married Ernest Meyer, another leading member of the German Communist Party. They were both active in the struggle against the emergence of the right-wing in Germany in the Weimar Republic. 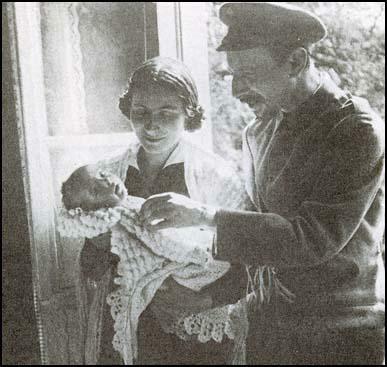 Meyer died in 1930 and Rosa remained political active but was forced to flee the country after Adolf Hitler and the Nazi Party achieved power in 1933. After living in France for a year she moved to England in October 1934. In her retirement she wrote two books about her political experiences, Levine: The Life of a Revolutionary (1973) and Inside German Communism (1977). Rosa Levine-Meyer died in London on 11th November, 1977. It was in Heidelberg, in 1903, at the age of twenty, that Levine for the first time in his life came into contact with Russian intellectuals, and became acquainted with revolutionary ideas. They found a powerful response in his restless mind, and no distractions or attempts at reconciliation with his society were ever able to stifle them. He received his first revolutionary ideas from the Social Revolutionaries whose programme included acts of individual terror. They believed that by assassinating certain dignitaries of state, above all the Czar, they could shatter the foundation of the existing system and bring about socialism. This programme called for a great deal of individual gallantry and self-sacrifice. It was only too natural that the young and inexperienced Levine should be fascinated by its heroic aspects. To correct injustice, to give his life for the oppressed - had this not been his dream since childhood? He became an enthusiastic member of that party. At last I can send you a few words, my love, my dear. You were all the time beside me and my heart rejoiced when I thought of the last period of our life. During all those desperate hours, hours of terror, I was full of those memories. I recalled our talks, your words, your kisses and caresses. Don't be sad Oslishechko. I am cheerful and full of energy. In spite of all the distress, I am looking to the future with confidence. As to us, I firmly hope that we shall be together very soon. And together with the child before my departure. I am writing in a great hurry, my own one. The deliverer of the letter has to leave. I kiss you, kiss your eyes, lips, shoulders, kiss you, fondle you and feel the joy of your presence. Don't despair Oslishechko. Your flowers gave me great pleasure. I knew they would come, relished them in advance and enjoyed them when they really arrived. They were brought to me by the deliverer of this letter. I am fond of him and trust him like a brother. Speak to him freely. I kiss you, kiss you my love. I thank you again for the last days. I am waiting, waiting ardently for more and more of them. It is getting serious. On Monday the trial begins. This sudden haste is disquieting. It was intended to interrogate innumerable witnesses - but it suddenly seems unnecessary. And so it is coming to an end, dearest, dearest, dearest! Daily, hourly I am thinking of you. I speak to you, hold you in my arms, console you, Oslik, little Oslik! I could not write all those days. I had a tiny little flame of hope. And to keep my chin up, I artificially fanned it. Lived as if nothing was looming over me. Ate, drank, read. But in these pages I must be honest. Should I continue my self-deception here? No, I could not do it. I was writing to you! To you I could not lie. And had I told you the truth? Then all my laboriously constructed house of cards would have collapsed. And so I gave up writing. And yet I was always with you and waited daily, hourly to see you, yourself. In vain. Shall I see you again? Darling, darling, dearest darling! I am writing with clenched teeth. When the warder looks through the iron bars, he must not see how I feel. Dearest, dearest, I kiss you! I am very sad, I am filled with such deep sadness. Death itself does not concern me. A few last minutes, the rattle of the guns, perhaps my last salute to the world revolution. Oh, it is not that. Not death, not dying, but parting with life. But how terrible when life is meaningless and one is only obsessed with the fear of death. No, in spite of my sadness, I am serene and happy. And for this I thank you, dearest. Without you my life would not be complete. Yes, it was made rich and purposeful through my work, through the privilege of taking part in this struggle. But you have brought fulfilment. Dearest, dearest, dearest. I kiss your forehead, eyes and lips and thank you for everything, everything. Thank you for your gift to me of yourself; thank you for my little boy who will live on as part of me; thank you also for myself whom you have changed and improved. Thank you above all for yourself for you, for you.